Quality new construction by Timberlin Homes on 0.5A lot on cul-de-sac in prestigious Aslan Passage located NW off Hathaway Road. 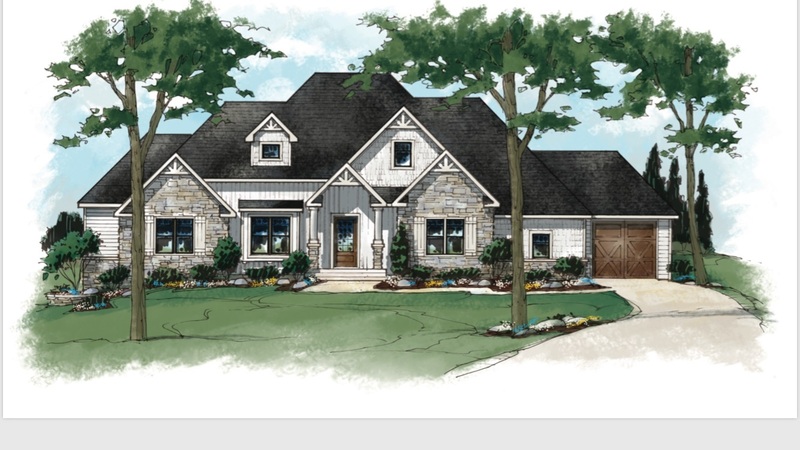 Spacious 1-story home w/ split BR floor plan & 3, 390 sq. ft of fin. living space. Full Basement, partially fin. daylight. 4-bay side loading gar. w/ service staircase to basement. Covered composite deck & stamped concrete patio. Main level features an open floor plan w/ Study/Formal DR that opens off foyer. Great room w/ 10 ft.ceilings, stone FP flanked by built-in bookshelves, double doors to covered deck. 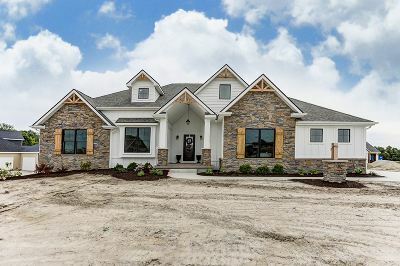 Kitchen with walk-in pantry with barn door, large center island extra seating, custom painted cabinetry, granite counter-tops & Stainless Steel appliances. Kitchen leads into a bright and airy Dining area w/painted ship lap tray ceiling. Mudroom w/ lockers. Spacious Master Bedroom suite has a cathedral ceiling and a wood planked accent wall. Master bath with ceramic walk-in shower and custom fitted walk-in closet with direct access to laundry room. 2 additional main level BR&apos;s each have a walk-in closet & share a Jack-N-Jill bathroom. Open staircase leads to daylight basement which has a 4th en-suite guest bedroom, a humongous family room/rec room plumbed for future wet bar, a spacious unfinished future media room/playroom and a 27x12 storage room. Premium Timberlin Trim Package & Optimal Insulation Package. Wired for security system & surround sound package. Includes irrigation system. Note: Garage length dimensions are combo of 2-Car Front Load + 2-Car Side Load.